I receive quite a few repetitive questions on the Ask Abi page and it’s becoming a bit of a challenge to respond due to so many other activities I have going on now. Henceforth, I will be answering the questions on the website and providing a link to the answer in the questions archive on the Ask Abi page. That way, readers can search if I’ve already answered their questions before sending them to me. Win-win for both of us. :). Today’s question is from E.A who has hair loss issues going on. I love your blog and I appreciate your efforts towards helping others improve the health of their hair. I have traction Alopecia and as a result of constant research, I have stopped doing braids and weaves and all those things that could put tension on my edges and I also massage with almond oil infused with rosemary essential oil (castor oil is too thick and breaks them right off) but still, the growth is oh so slow and it’s rather frustrating. I would really appreciate it if you could give me any tips on this. Also, I’m considering using wigs as a protective style while growing my hair out because my styling options are really limited and my hair is still on the short side so I don’t feel comfortable wearing twists out lol plus, dem edges :(. I would love to hear your thoughts on this. Thanks a lot. – E.A. Traction alopecia is a form of hair loss caused by an unnatural pulling force applied to the hairline repeatedly. This pulling force could be in the form of wearing hair in a tight bun over a long period, wearing tight braids and weaves and gluing wigs to the forehead. The loss is gradual and occurs over a period of time. In a protective style over a few months, the hair loss becomes obvious as soon as you take down the style. Continuing with the harmful practices even after you notice the gradual hair loss will lead to more serious issues. These more serious issues will lead to irreversible hair loss in the long run i.e. you won’t be able to grow hair in the spots anymore without some sort of surgical intervention. 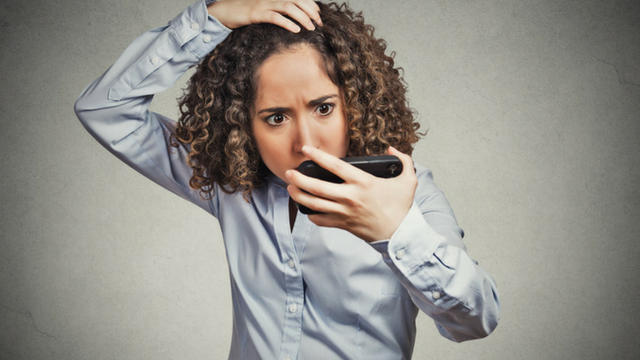 Traction alopecia can affect women of all races and ages. The good news about it is once you stop whatever activity that’s causing it, expect your hair to start growing back. Traction alopecia is reversible. 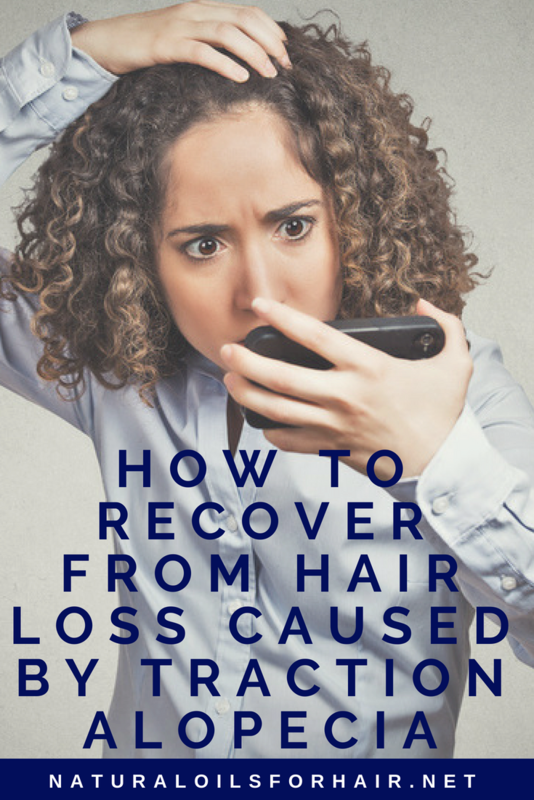 As soon as you stop the harmful hair care practices that led to it in the first place, you can expect a complete recovery. Back to E.A’s question, massaging with almond oil with rosemary essential oil is good but when it comes to traction alopecia, this isn’t the best oil to use. Regrow Bald Spots with Jamaican Black Castor Oil. I know you don’t like castor oil but to make it more manageable, dilute it with almond oil or grapeseed oil. Alternatively, check out below two links as well. They are equally effective alternatives to JBCO. These four oils are targeted specifically for help with recovery from hair loss. Please follow the instructions consistently to see best results. 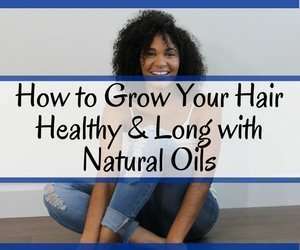 I also recommend my e-book – How to Grow Hair Healthy & Long with Natural Oils, which features over 30 natural oils for treating the most common hair issues. The book is also updated every year. Wigs are a great way to protective style while recovering from hair loss. However, don’t use the combs attached to the wigs. You will have to take those out and pin the wig to your head instead. Also, make sure you braid in a beehive under the wig. Cornrows will make the traction alopecia worse. The recovery time is dependent on the severity of the problem and recovery methods engaged but you can expect to start seeing an improvement within 3 – 6 months of treatment. If you enjoyed this post, you’ll be interested in The Ultimate Hair Growth Guide, a comprehensive tool for recovering from hair loss, regrowing bald spots and filling in thin areas of your scalp.